Green fillers are used to fill the spaces in the bouquet so that it looks more interesting. Ribbon used in the arrangement may depend on the color available. Orange rose is the most rarely found flower among all the species of roses. There are over 1000 of documentaries and songs on roses. 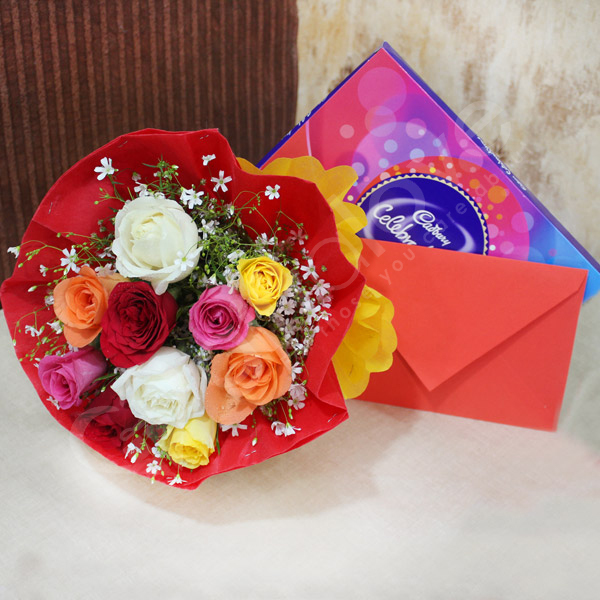 The quality of the flowers and chocolate was very good. I am happy with the service.